What is the Custom Suit Process? 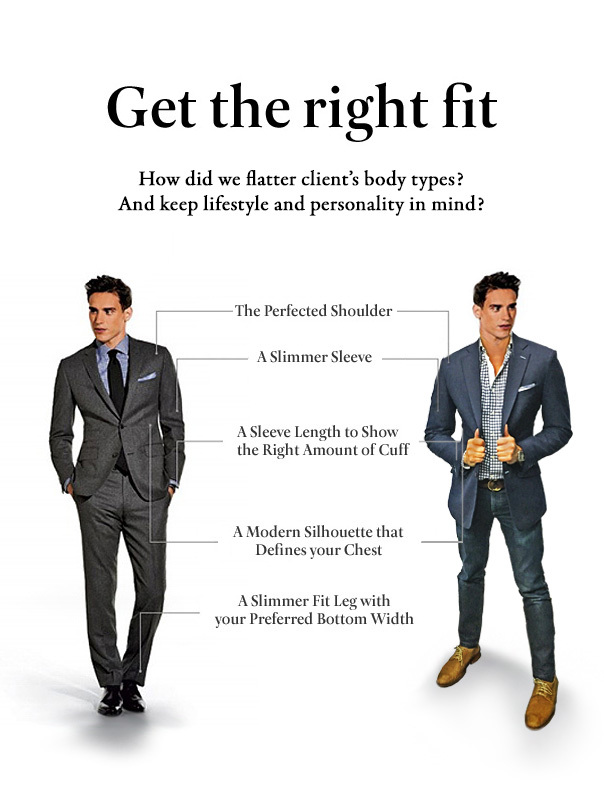 Get Fitted, Try On, Take Home a Perfect Fit. Get expert advice for your body type and your audience: what you do, and who you get in front of. Get access to 1000s of fabrics from the best mills in the world, including Zegna, Loro Piana, VBC, even Vicuña, the best and most rare fabric in the world. Our Designers have been trained in Biella, Italy. They're experts, our competition cannot say the same. Your body is unique and needs a garment that fits it perfectly. We take 24+ measurements, along with shoulder and posture notes and photos for our Master Tailor. All prices include all fittings, alterations and finishing, except in very rare circumstances. Take home your new custom clothing after we make any slight adjustments to it. Receive hand matched recommendations for ties and accessories to perfectly compliment your new custom clothing. Skip the initial fitting when you order in the future. Your individual measurement pattern is on file to make ordering new custom garments easy. Get compliments, really, just ask our clients. for bespoke suits in Chicago"
How long does it take to have custom clothing made? Generally our custom clothing takes four to six weeks depending on the item ordered, fit complexity, and fabric availability. If you need your clothing expedited, we may be able to arrange a faster turnaround time for an additional fee. How does it work? What's your process? See How it Works. Request an Appointment, select fabrics and styling options with the help of a Designer, get fitted by experts, and pick up your clothing when it arrives, it's simple. Then we keep your paper pattern on file for simple future orders. Are there extra alteration costs? No, alterations or adjustments are included in the custom clothing price, saving you an additional $200-$300 vs. off-rack. Except in rare instances of extreme weight loss and/or gain between order date and first fitting. The best approach is to let us know if you are anticipating a weight loss/gain so that we can work together. How much does custom clothing cost? Our custom suits start at $795 and go up depending on the fabric. Our true custom shirts in 100% cotton start at $119 and go up depending on the fabric. Our custom tuxedos start at $995 and go up depending on the fabric.